During the annual SURFsara Super D Event on December 12, 2017 in Amsterdam, the Netherlands, we had a conversation with Thomas Skordas, who is responsible for the EuroHPC strategic initiative. Thomas Skordas is Director of "Digital Excellence and Science Infrastructures" of the European Commission's Directorate in DG Connect. This Directorate is promoting and funding research infrastructures and excellent research in Europe. Part of the research infrastructures that the European Commission (EC) is funding, is directly related to creating a large-scale high-performance computing (HPC) infrastructure for Europe for the benefit of European scientists, industry, and the public sector. The EuroHPC initiative has been proposed by the EC in order to create an excellent HPC infrastructure that European scientists and industry need in the area of high-performance computing and enabling science and user applications. New since March is that there now is a proposal adopted by the EC on 11 January 2018 for a Council Regulation establishing a legal entity to run EuroHPC in the form of a Joint Undertaking. We invited Thomas Skordas to tell a little bit more about this. The ambition of the Joint Undertaking is to make it a long-term investment. We learned from Skordas' presentation earlier at the Super D Event that the time scale is reaching until 2030. 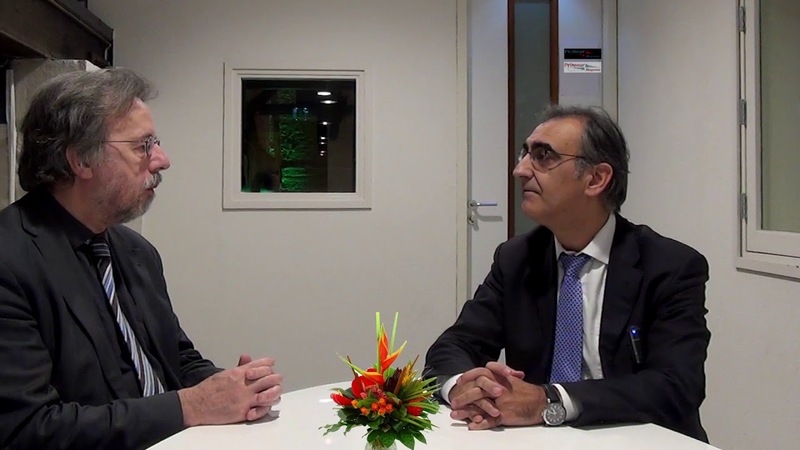 Europe's journey towards exascale HPC is documented on http://eurohpc.eu.